LocalLocal.com is an online directory of restaurants, farms and food retailers that sell locally sourced food. By displaying the connections between retailers/restaurants and the farms where their food comes from, LocalLocal verifies that food is authentically local. This online resource currently provides information about businesses in Houston and surrounding areas, but is planning to expand to additional markets. To see how it works, go to the LocalLocal site, click “Change” for the geographical location near the top of the home page, and enter a Houston zip code (e.g. 77002). 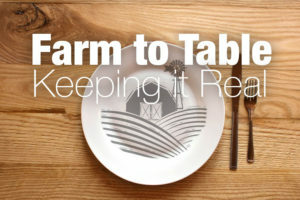 The following column was contributed by LocalLocal founder Reed Shelger, and is the latest installment in Good Food on Every Table’s “Farm to Table: Keeping It Real” series. Like so many people involved in the Good Food movement, Shelger has an interesting side story: He is a champion at Brazilian jiu jitsu, a martial arts discipline. All of the articles on this website are aimed at prompting a national conversation and providing a platform for information sharing. So if your community has a service such as LocalLocal to verify local food claims — or if you happen to run one yourself — please use the comments section on this story to share your thoughts. In April, the Tampa Bay Times published a story about restaurants in its region that were faking “farm to table,” and it rocked consumers’ trust in restaurants claiming to use locally sourced ingredients. The story went viral and has spawned countless response stories in publications around the country. For many of us, it came as no surprise that some restaurants were being dishonest. At LocalLocal, we have been working to address the issue of “local-washing” (falsified or exaggerated claims related to local sourcing), since long before the Tampa Bay story broke. Local-washing is a real problem. And it hurts everyone involved in local food systems: farmers, retailers and consumers. A healthy amount of skepticism is always good, but is it fair to cast all farm-to-table restaurants under a cloud of suspicion? What about restaurants that do indeed make the effort to use local ingredients? Is “local” just another trendy marketing term, or are there real reasons we should care about local food… and how can we be sure we’re not being duped? In fact, Reiley describes the demand for locally sourced food as follows: “People want ‘local,’ and they’re willing to pay. Local promises food that is fresher and tastes better; it means better food safety; it yields a smaller carbon footprint.” A very compelling summary of the benefits of local food. There are also economic benefits tied to supporting farmers in your community. While bashing the term “foodie” might be a victimless crime, an assault on ‘local’ is an assault on family farmers and the people and businesses that support them. The challenge of connecting urbanites with rural (and urban) farms remains one of the biggest hindrances to the local food movement. Restaurants and chefs that use local ingredients have been instrumental in helping restore local food systems. I have had the pleasure of working with several restaurateurs whose experience is completely different from those highlighted in the Tampa Bay story. Now more than ever, businesses that are sincere in their efforts to source ingredients locally must be willing to back up their claims to restore consumer confidence. Fortunately, information technology can now be used to provide transparency, and prove that “local” is neither a gimmick nor a hoax. LocalLocal — the company I founded — offers a simple and elegant solution. 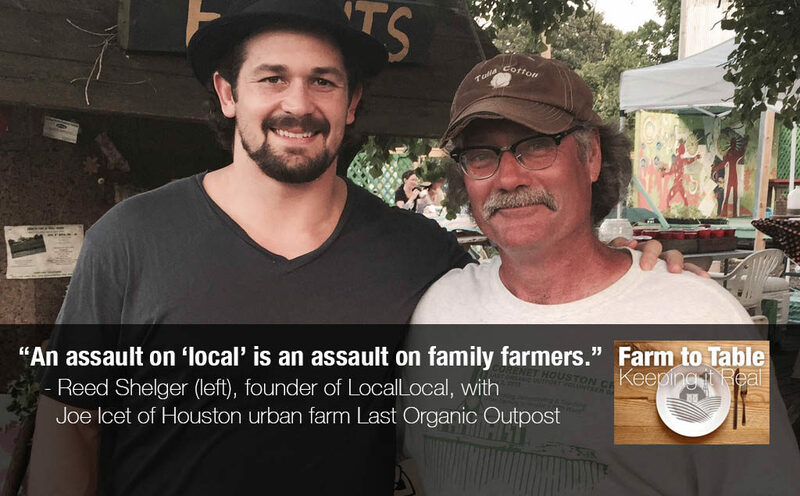 LocalLocal is an online directory of farms, artisans, retailers and restaurants who are engaged in local food sourcing. It allows farmers to verify that sourcing claims are legit, and makes this information conveniently available to consumers. Originally conceived as an online directory to help address the growing demand for local fare, LocalLocal quickly turned its focus toward addressing local-washing. We kept encountering questions such as “How do you determine which restaurants are really local and which are faking?” or “How can you verify that what the restaurant is telling you or putting on their menu is true?” So we focused on developing the verification process. 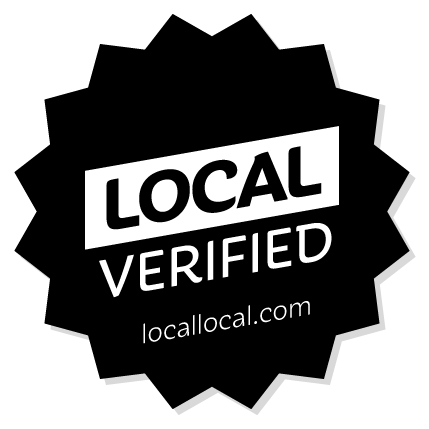 The “Local Verified” logo that LocalLocal provides to businesses prove their local sourcing claims are true. Now when a restaurant or retailer lists a supplier in our site, the farmer/producer is asked to verify the relationship. Much like a friend request on other social media sites, the invitation can be accepted or rejected. LocalLocal does the legwork of filtering out businesses for which local sourcing cannot be confirmed. Verified businesses remain in the LocalLocal directory, and are also invited to display our “Verified Local” stickers. Visitors to LocalLocal.com will see a list of verified local businesses in their area (we are based in Houston and so far our listings are predominantly in Texas). Listings are segmented by categories: farms, artisans, restaurants and retailers. For each restaurant/retailer the list of local suppliers is displayed; conversely, for farm/artisan listings, the list of restaurants/retailers carrying their products is displayed. The integrity of the system relies on the participation of local producers. We exist to provide visibility into and authentication of local food systems, which always start with local farmers. This entry was posted in Family Farms, Farm businesses, Farm to table dining, Farm to Table: Keeping It Real, Good Food Dining, Good Food restaurant trends, Local Food and tagged FamilyFarmed, Farm to Table, Farm to Table: Keeping It Real, Food fraud, local food, Local food sourcing, local food transparency, local food verification, LocalLocal. Bookmark the permalink. Awesome Blog. Glad Local Local has made the effort to authenticate and promote locally sourced food. I will be looking for the “Local Verified” sign of approval during my next trip to Houston.